For the second year in a row, my tween is taking Hip Hop classes. It’s exciting and fun. But it’s also expensive. With class uniforms, recital costumes and all the other fees associated with the class, I feel like I need a part time job. I’ve found ways to save, like shopping clearance sales for her sneakers, or consignment sales for her dance bag. And I’ve even created a DIY Dance Kit for practically free with one of the many Chick-Fil-A soup containers I have at home. 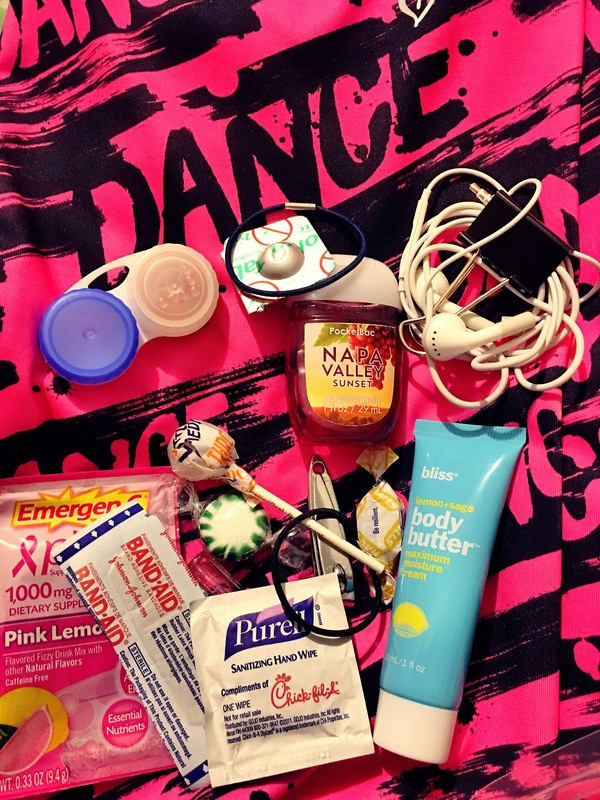 As a dance mom, I’ve learned that there are certain things that my tween should keep in her dance bag at all times. Thankfully being a hip-hop dancer, she doesn’t need as many things as ballet dancers do, so a small CFA soup container works perfectly. It may seem strange that I horde CFA soup containers, but truth be told, we eat there often and they really are durable and practical containers that can be reused for many purposes. Chick-Fil-A offers healthy options that I feel comfortable putting in my dancer’s body. Not to mention it’s delicious. The restaurant (and bathroom) are always clean. I’ve yet to go to a CFA location that didn’t have an “A” restaurant rating. There are several locations near my home, and one right by the dance studio, a perk of living in Georgia. Also, as a CFA calendar card holder, a CFA One app user, and a #ChickFilAMoms member (an online mom panel), I often get free treats. 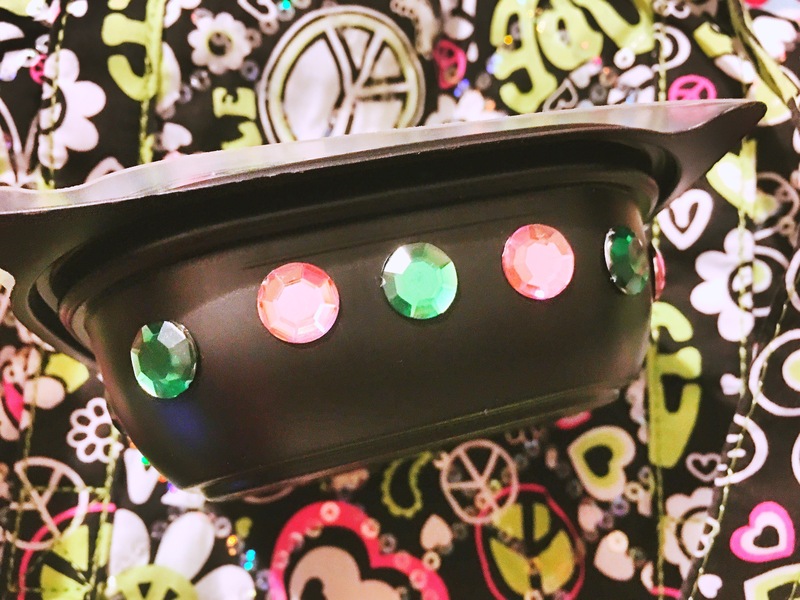 I use the CFA soup containers to store so many different things.. from snacks to eat on the go, to first-aid items to keep in the car, to hair accessories in the bathroom and jewelry in the bedroom. 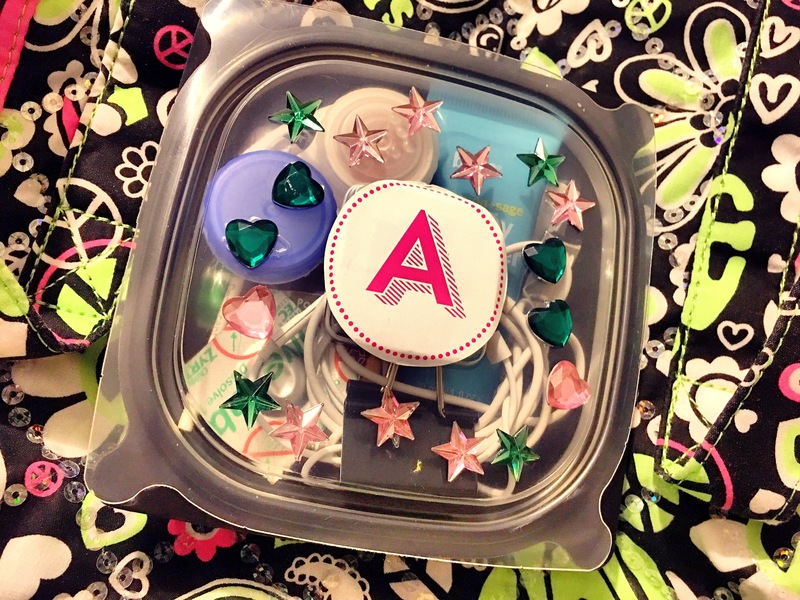 For my daughter’s dance bag, we created this super simple DIY Dancer’s Kit. It literally took less than five minutes to put together. After you eat the soup, wash the container fully. And then decorate if you’d like, or leave as is. We used stick-on jewels in her dance school colors and a monogram sticker with her initial that we had on hand. You could paint it, you could add stickers, or you could glue embellishments onto it. Once you’ve decorated the container to your liking, add any items you think your dancer would need. 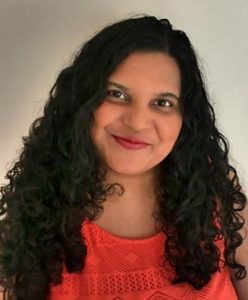 Below I’ve listed some things I’ve added, and continue reading for some extra things that you may want to add. I used a small Chick-Fil-A Tortilla soup container, but if you want to add more stuff, you can also use their larger soup or salad containers. 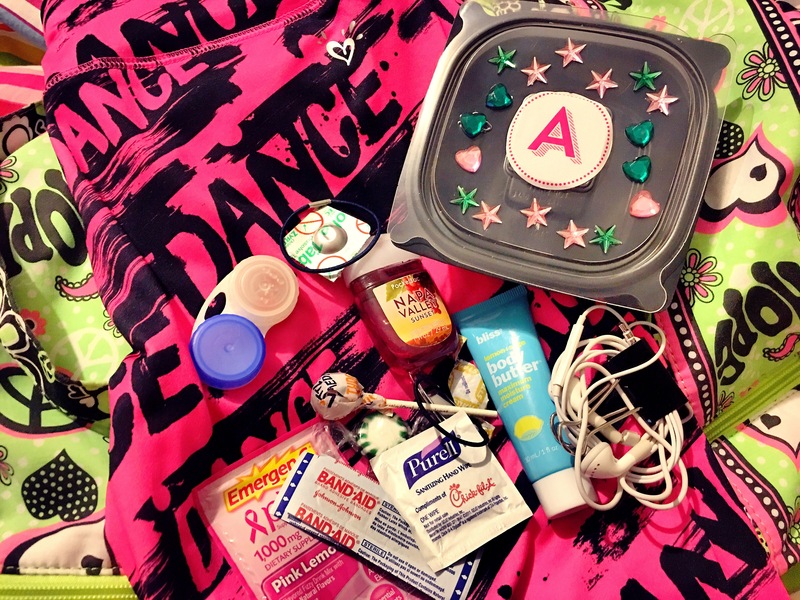 It’s a free way to keep your dancer organized and well stocked with essentials they’d need to survive practice, recitals, shows, and competitions. And it’s super simple to make in a matter of minutes!